Add this contemporary design, dhurrie for giving a unique and beautiful look to your home interiors. This magnificent indian cotton dhurrie rugs is woven with flat woven technique and ideal for a living room. 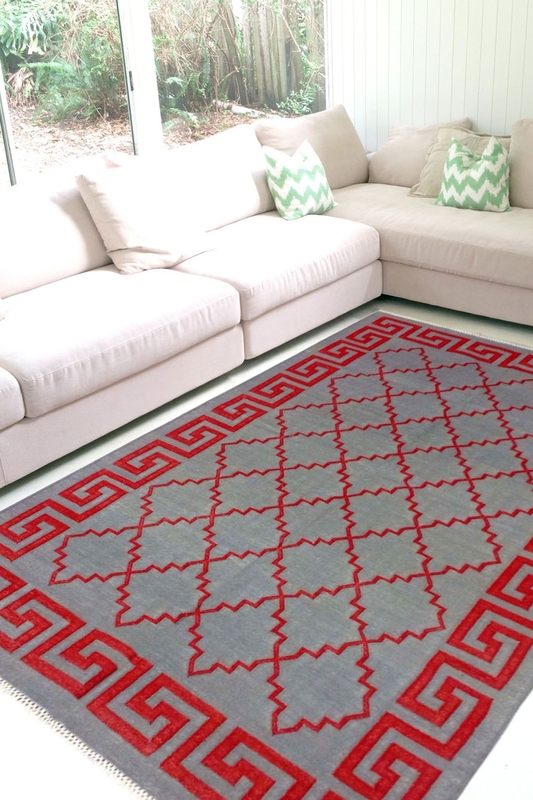 - This stylish contemporary indian cotton dhurrie rugs will bring uniqueness and style to the overall look of your room. - This Designer cotton flat woven durry will be best for your home and add elegance. - This design is very famous in dhurrie rug industry. - You can use this gorgeous fine quality dhurrie for indoor and outdoor as well.